It was my first time there! 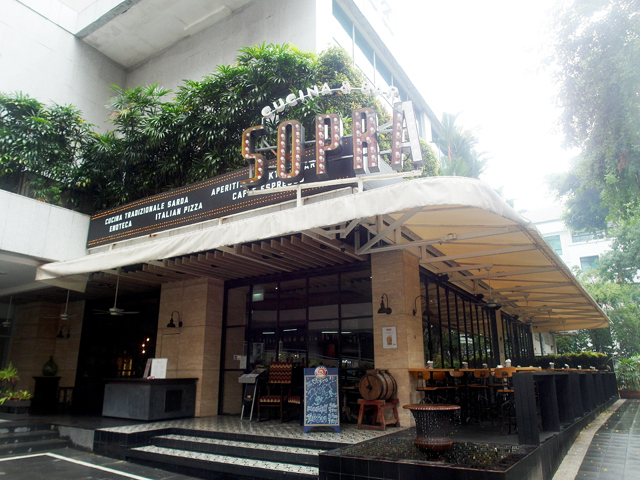 Little did I know that round the corner off Orchard Road (behind Palais Renaissance), there is this Italian restaurant serving traditional Italian food with a nice ambiance. 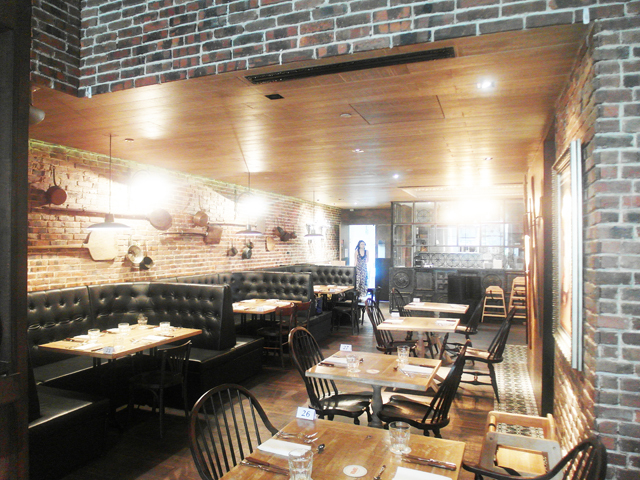 I liked the decor immediately upon stepping foot into the restaurant. Was late and everybody was waiting for me to start lunch! Oops! 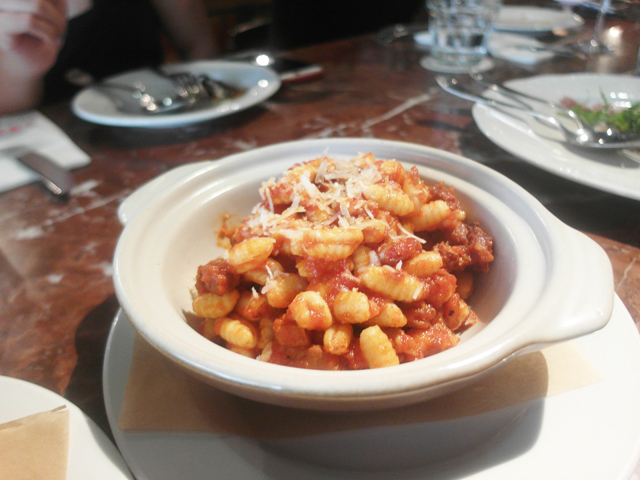 We were introduced to Sopra's newly revamped menu, which included some crowd favorites among a variety of new additions. 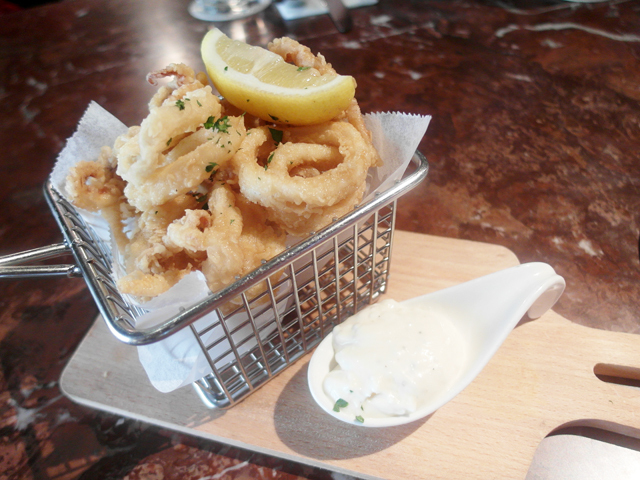 Calamari Fritti is definitely the absolute starter choice as it's such a crowd-pleaser. 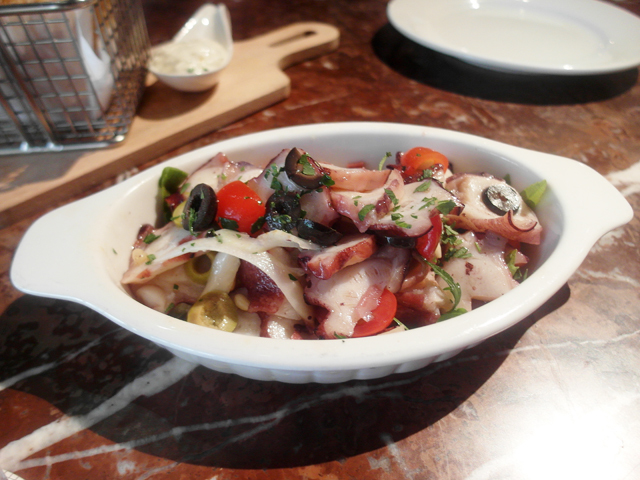 I was quite surprised by the Polpo Alla Carlofortina, a dish of slow-cooked fresh octopus with celery, olives, pine nuts, basil and house made dressing. I thought I wouldn't like it but it's actually quite tasty! One of the recommended dish in this entry. 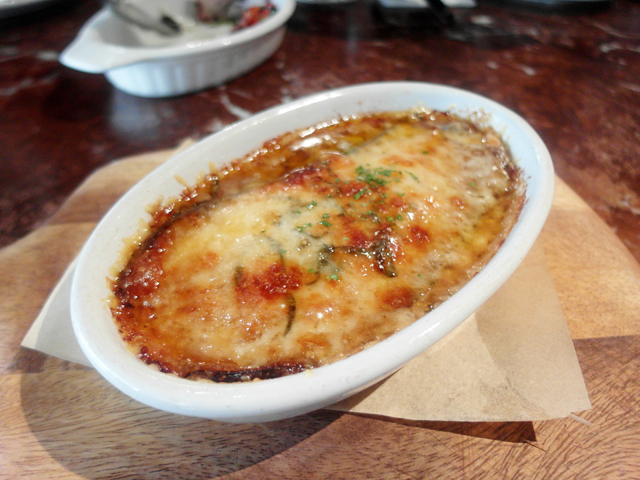 Then we had the Melazane Alla Parmigiana, which is actually baked layered eggplant in tomato sauce. Our table was divided on our opinions about eggplant. Half of us loved eggplants and half of us hated eggplants. I'm one of the latter. However, I gave it a go and it wasn't as icky as I thought it would be, because it tasted more like baked cheese, which I like! 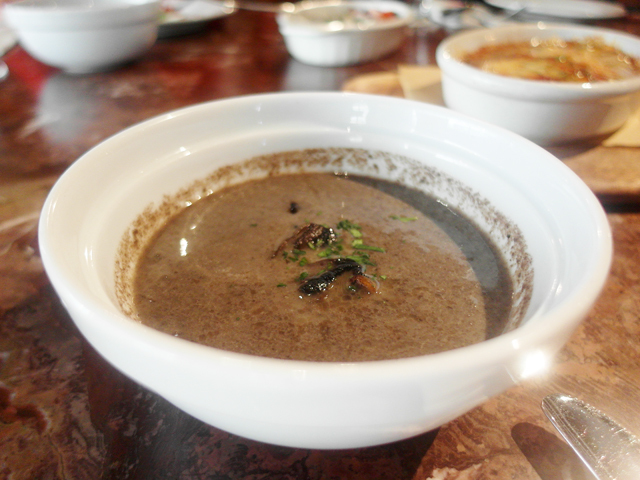 Mushroom Soup was rich with bits of mushrooms. It was not bad, but don't drink too much of it because there's alot more food on the table to leave the stomach empty for! 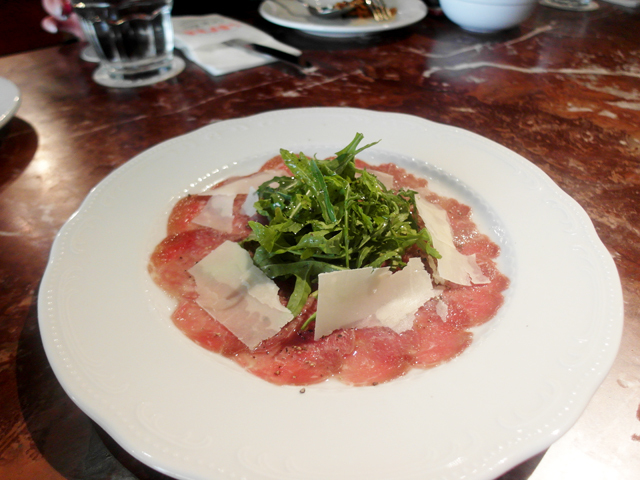 Carpaccio Di Filetto Di Manzo - Thin sliced beef tenderloin topped with shaved parmesan and rocket salad. Didn't eat it because it's beef. But pretty plating! Malloreddus alla Campidanese - Traditional Sardinian semonila pasta with rosemary pork sauce. I really like the type of pasta used for this dish. The texture and size of the pasta was so on point for this sauce. I like eating it one by one! Haha. Such a pity that this combination is not commonly found elsewhere. 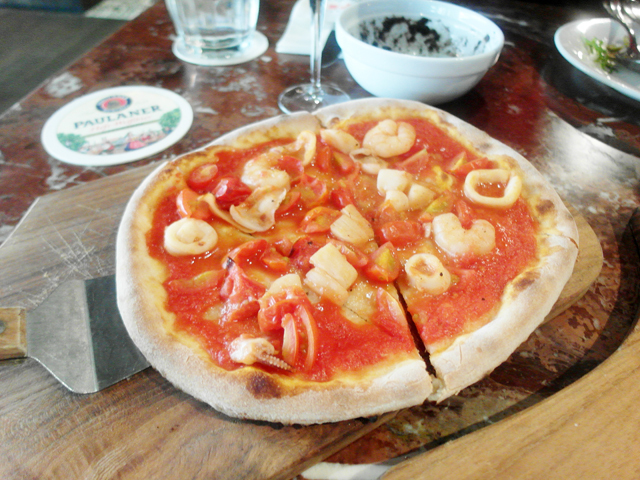 My favourite dish here. 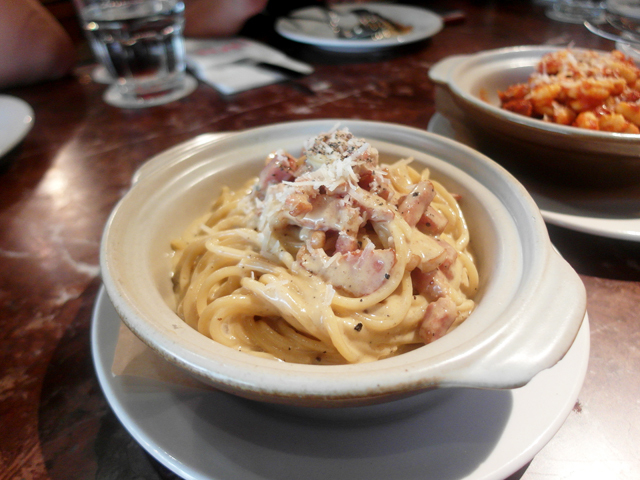 If you prefer the usual, Spaghetti Carbonara is also available on the menu. We had three pizzas. 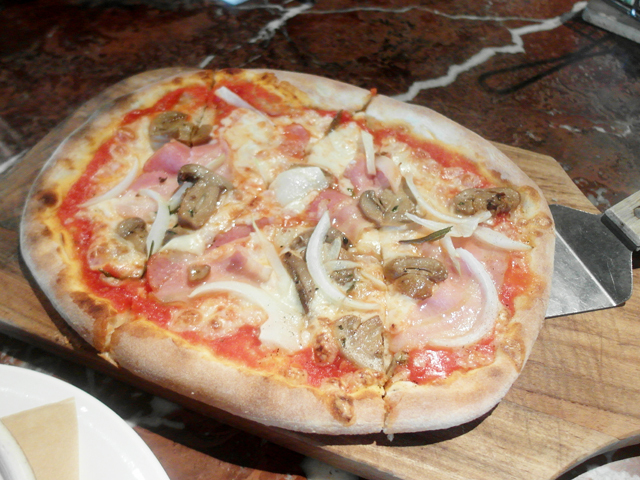 By then we were really full already, but I couldn't resist trying all three pieces because I love pizzas made this way. Somehow it feels more authentic? Recommend to order at least one of these if you do visit! Tomato sauce. Mozzarella. Bacon. Mushroom. Onion. Chilli oil. Tomato sauce. Mozzarella. Salami. Dried chilli. 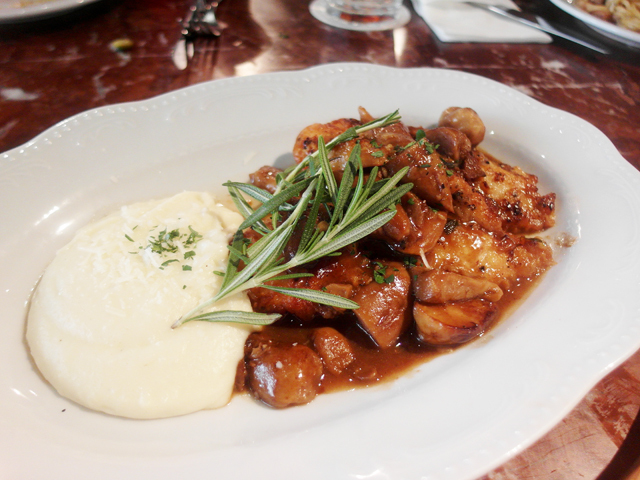 Scallopine Di Pollo Ai Funghi Porcini - Pan seared chicken breast accompanied with potato puree and porcini rosemary sauce. Not usually a fan of chicken breast, but I enjoyed this dish quite alot that day because it's the one meat dish after so many carbs! Haha. 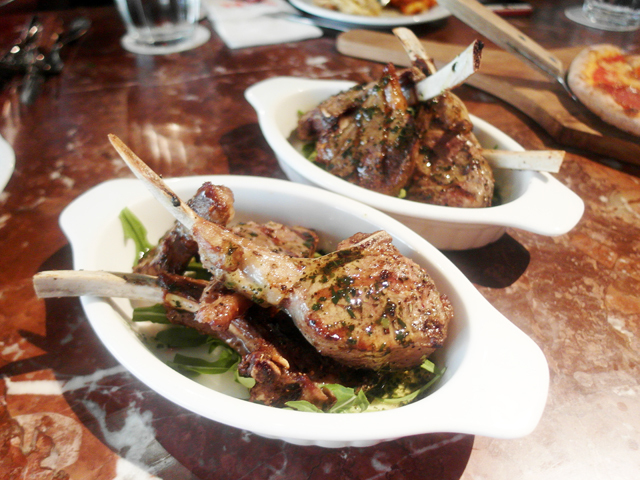 Costolette D'Agnello - Grilled lamb chops with mint sauce. 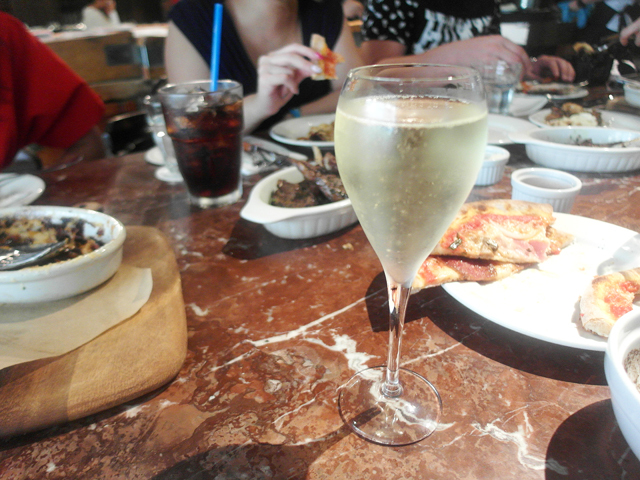 The girls had Prosecco to flush down all the food. Really alot of food! No meal is complete without dessert, they say. 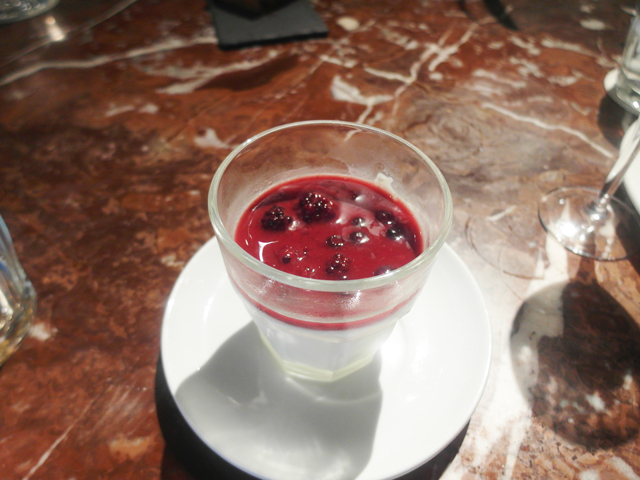 So we all shared the Panna Cotta Served with mixed berry compote. 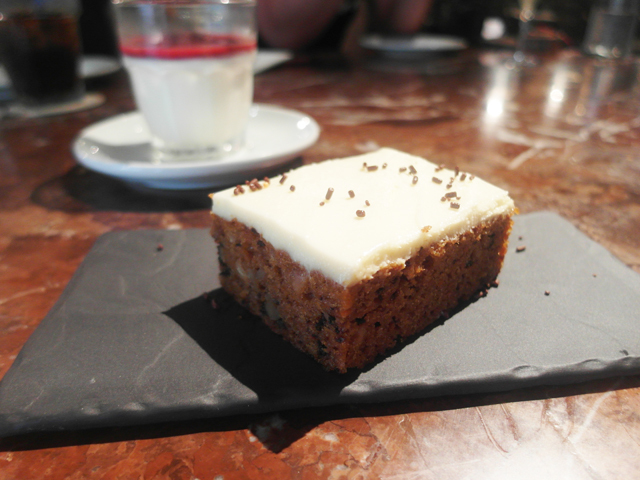 As well as Carrot Cake, which is really good. What a feast! 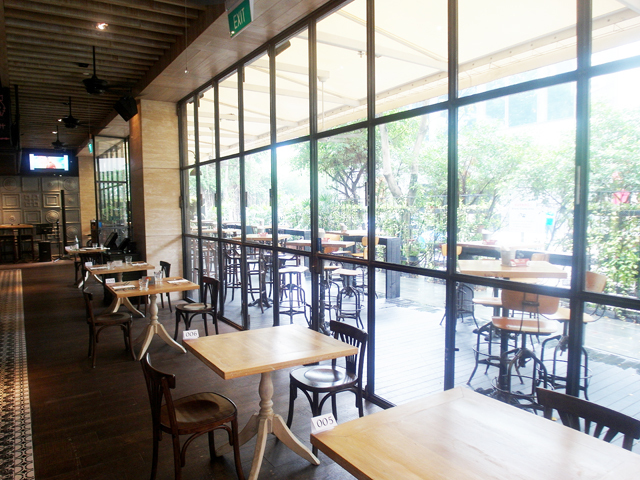 I think it's a nice place to gather and dine with friends for the upcoming festive season. 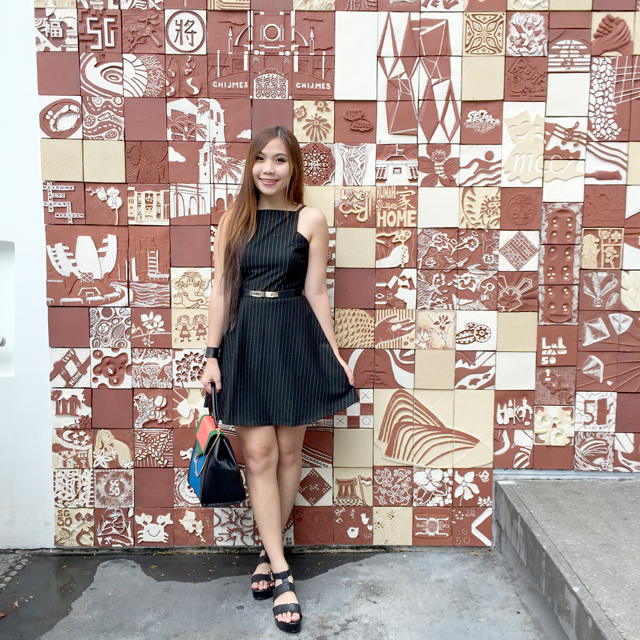 Took photos with the girls outside the restaurant after our meal. 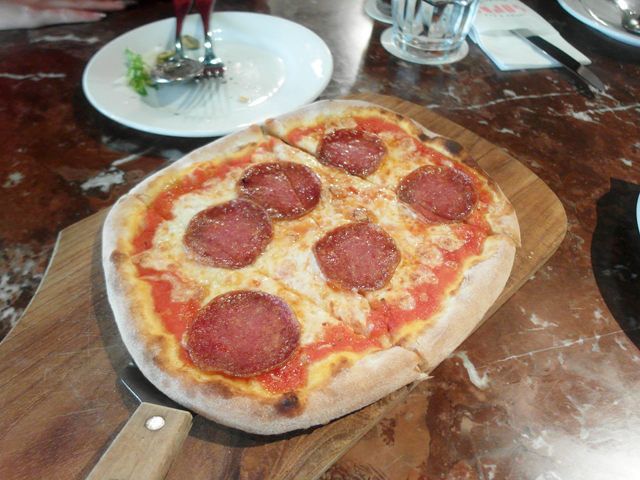 Ate so much! 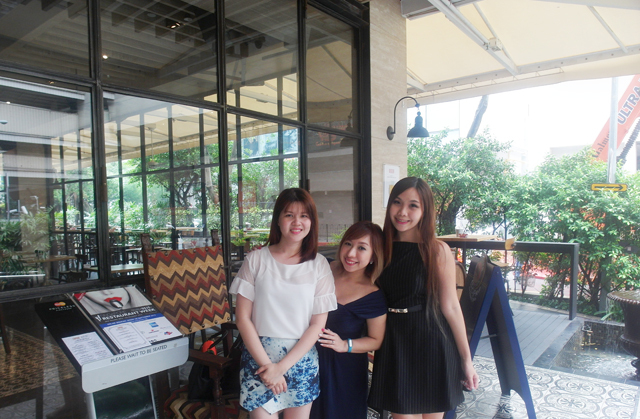 Continued our chit chat at some hotel lobby afterwards because there's always so much to catch up on. A great afternoon spent! Thank you Foodnews and Sopra Cucina & Bar for feeding us!